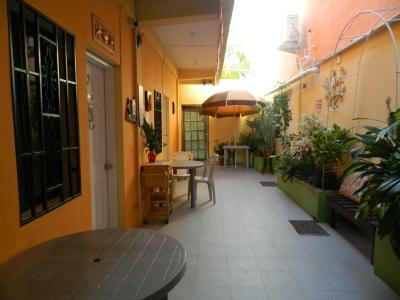 Reasonably priced, clean room and nice and cool for sleeping. Staff was helpful and friendly. Lovely lady sweeping the courtyard, called a taxi for me, and the young man who checked me in was knowledgeable about the area and points of interest. 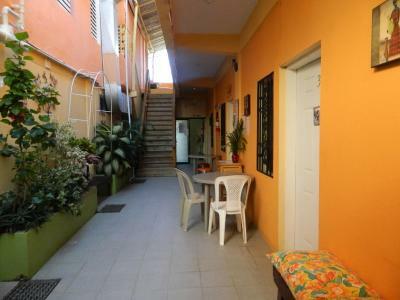 A comfortable, safe place in Belize City. You can walk to the ferries and tourist areas. Walking to the bus station is possible if you are backpacking. 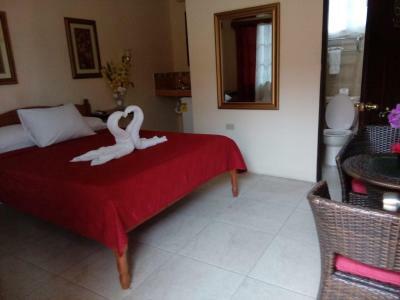 Perfectly reasonable and friendly budget accommodations. Great value. Convenient location. Wonderful staff. For the price I paid this was a great place to stay. 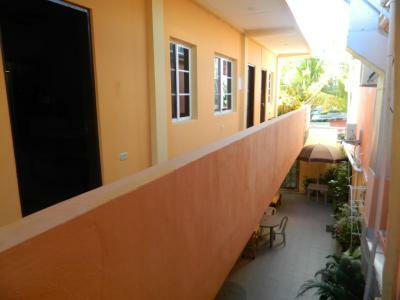 I stayed here my firat night in belize after landing. There was a little water in the corner of the room since it was raining but overall the quality for the price was good for a solo traveler passing thru. I felt safe. The staff was helpful and a quiet place. As a female traveler alone, I felt very safe here. The property is right by where all the cruise ships land and was very safe - many tourists and no no unwelcome attention. 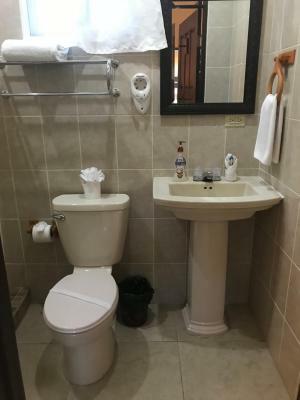 Bella Sombra Guest House Downtown This rating is a reflection of how the property compares to the industry standard when it comes to price, facilities and services available. It's based on a self-evaluation by the property. Use this rating to help choose your stay! 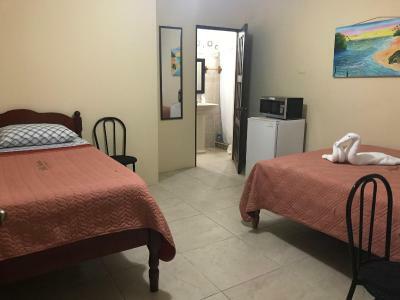 Located in central Belize City, Bella Sombra Guest House Belize offers a garden, terrace and air-conditioned studios with free Wi-Fi and basic kitchenettes. 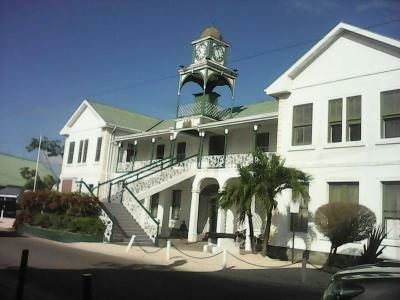 St John’s Cathedral is a 15-minute walk away. 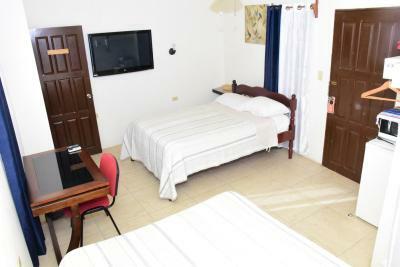 Each functional Bella Sombra studio features cable TV, a clock-radio, a ceiling fan and a private bathroom. The simple kitchenettes include a microwave and mini-fridge. 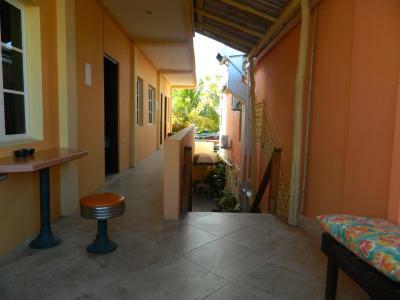 Free private parking is available at the Bella Sombra Guest House. Convenience stores and cafés can be found in the surrounding streets. 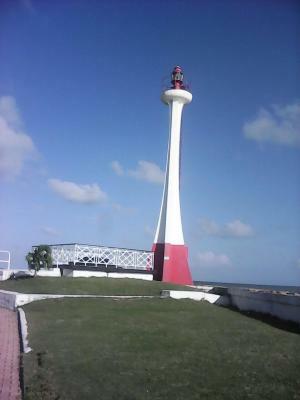 The ferry terminals for Ambergris Caye and Caye Caulker are just 1,950 feet away. On request, the Bella Sombra can arrange airport transport, flight transfers and excursions. 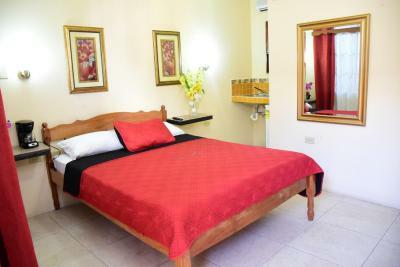 Belizean Beach is a 15-minute drive away, while the Mayan temple of Altun-Ha is a 45-minute drive away. Mexico's Embassy is just 5 minutes' walk away. 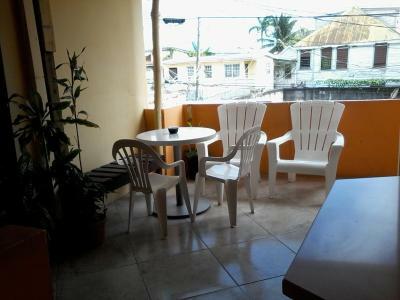 When would you like to stay at Bella Sombra Guest House Downtown? 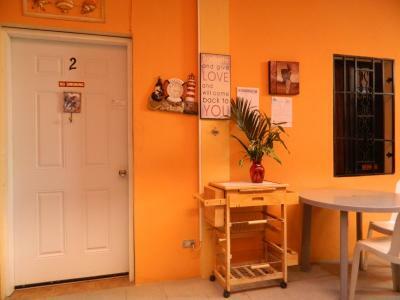 This air-conditioned studio offers a cable TV, ceiling fan, and an en suite. A microwave, refrigerator, and sink are also included. 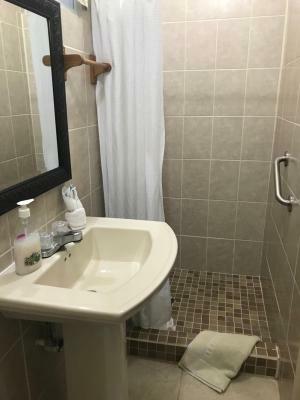 This single room features a tile/marble floor, air conditioning and microwave. This studio, also known as Studio 1, has a microwave, patio and air conditioning. 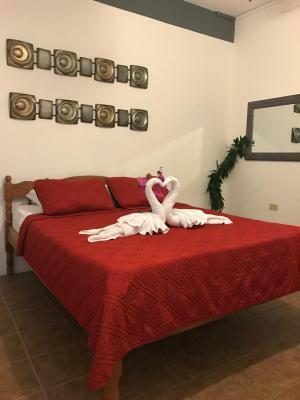 House Rules Bella Sombra Guest House Downtown takes special requests – add in the next step! 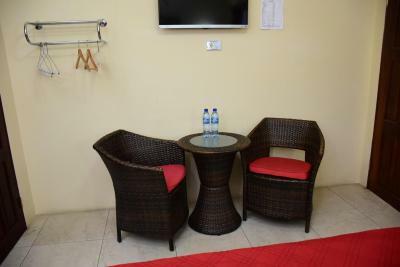 One child from 4 to 14 years is charged USD 10 per person per night when using existing beds. 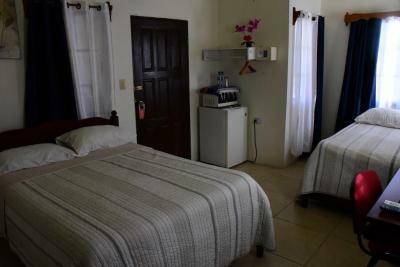 One older child or adult is charged USD 20 per person per night when using existing beds. 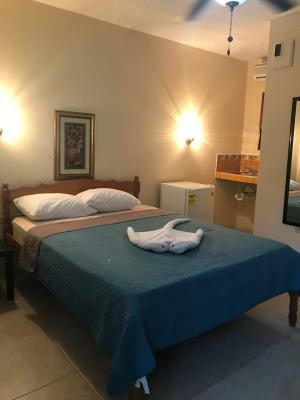 Bella Sombra Guest House Downtown accepts these cards and reserves the right to temporarily hold an amount prior to arrival. This property accepts PayPal payments. Please inform Bella Sombra Guest House Downtown of your expected arrival time in advance. You can use the Special Requests box when booking, or contact the property directly using the contact details in your confirmation. I couldn’t get too much information about if it was a safe section or not from the hosts, so I tried not to go out after 5 pm, I’d say the location needs more details if you’re staying there. Window was to the hallway, so rather dark and not private. My room was over powered with the smell of a toilet bowl freshener. I had to open all the windows as soon as I arrived and considered throwing out the freshener except there was nowhere outside the room to dispose of it. Location was great. 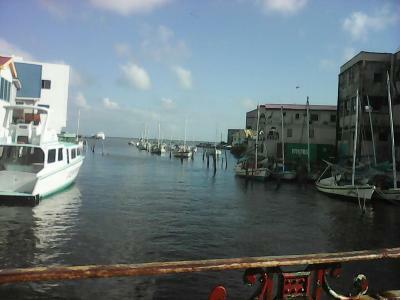 It was in a quieter, less busy part of town and a quick walk to the ferry docks to get to the cayes. Oh... since the start. I had booking two nights on this address but a last minute change I decided to only spend one night. Already lost money but I didn’t have the choice. So, I wrote them saying that I would arrive in two and not in one day. Ok, they replied saying that everything was ok. I arrived and they didnt have a room for me! Another couple, who got in trouble with booking.com, was on my room. The one I already paid! And they said: you are going to the other building, near the airport. I said no, i booked this in january or december, 2018, and I wont move. 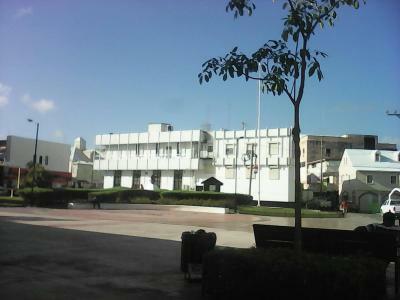 I am very near to the bus station, the place I needed to go in early morning after the check out. The guy called to the owner and they needed to ask the other couple to go to the other building. I asked the guy if later I could speak with the owner, I noticed that we spoke the same mother tongue. But nothing! Never got the chance to speak with her. The room has no natural light, for a night was ok. Not more than that. And has old aspect, the beds are supported with some wood and makes a little of noise. The walls are dirty and in some areas painted just to cover something, it seams. So... I thought that someone would be staying at the front desk but no. After 9pm the guy left and everything was abandoned. By the time of 11pm someone was ringing the door but I needed try to see who it was. Someone just opened the door and the person get in said: i am sorry. Come on! Its necessary to have someone there, what cameras can do? Nothing. So, at the end this is not a good place. 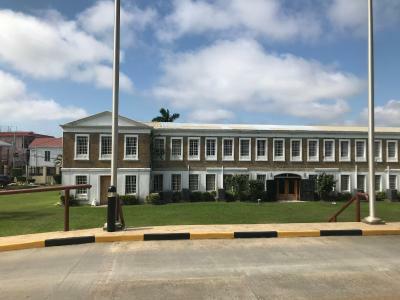 I paid to much for this conditions but seems that everywhere in Belize City is like this. The only thing that I liked was the distance frlm the bus terminal. Management should reconsider the need to use a strong naphthalene base deodorant in WC. 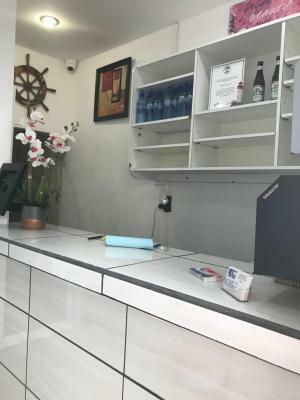 It has central location, and friendly and helpful staff. Signage in front of the guesthouse wasn't good.